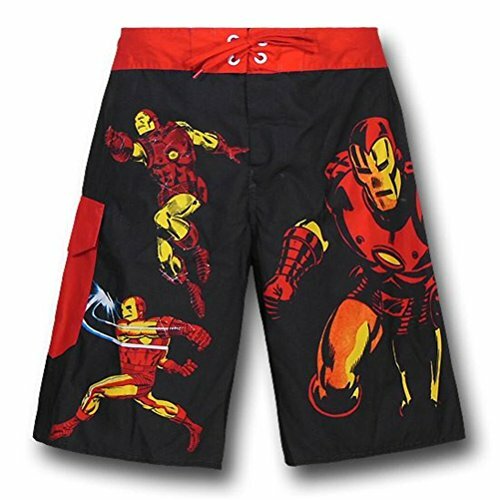 As promised in yesterday’s post on geeky swimwear for women, today we bring you the best in geeky swimwear for men and boys. 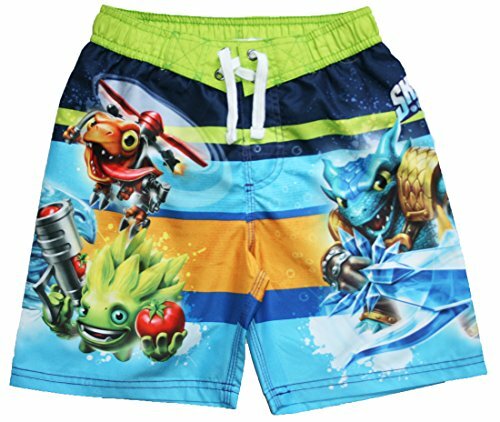 I was very surprised how few board shorts and swim trunks there were for geeky guys but I managed to find a few to show you! 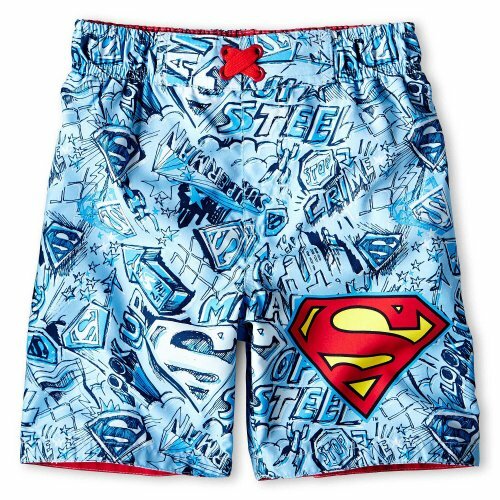 If you like an understated style then maybe the Superman or Batman logo board shorts might suit you. 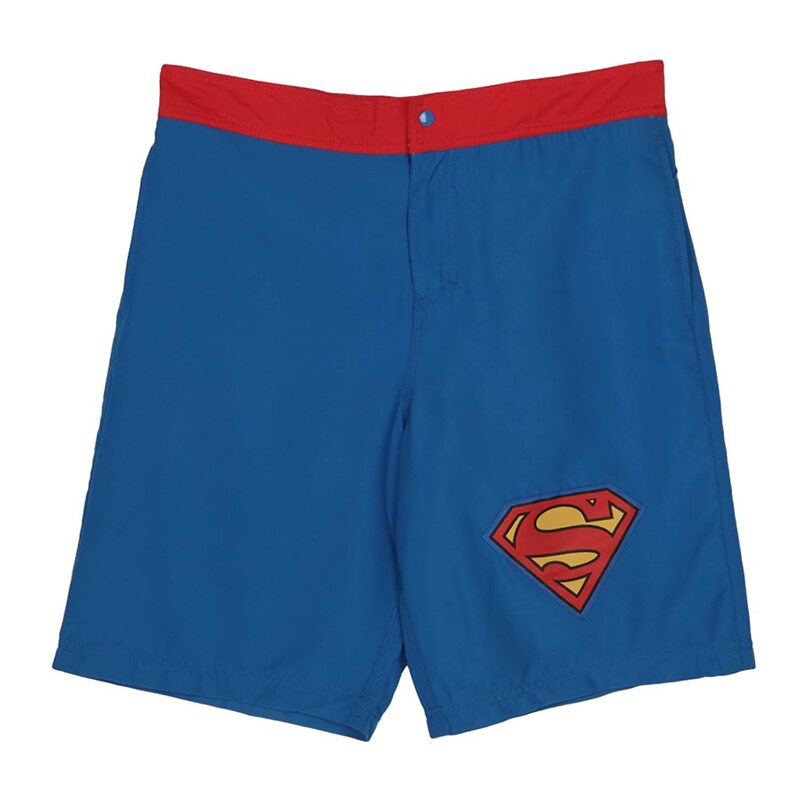 Stylish yet such a simple way to show off your love of superheroes. 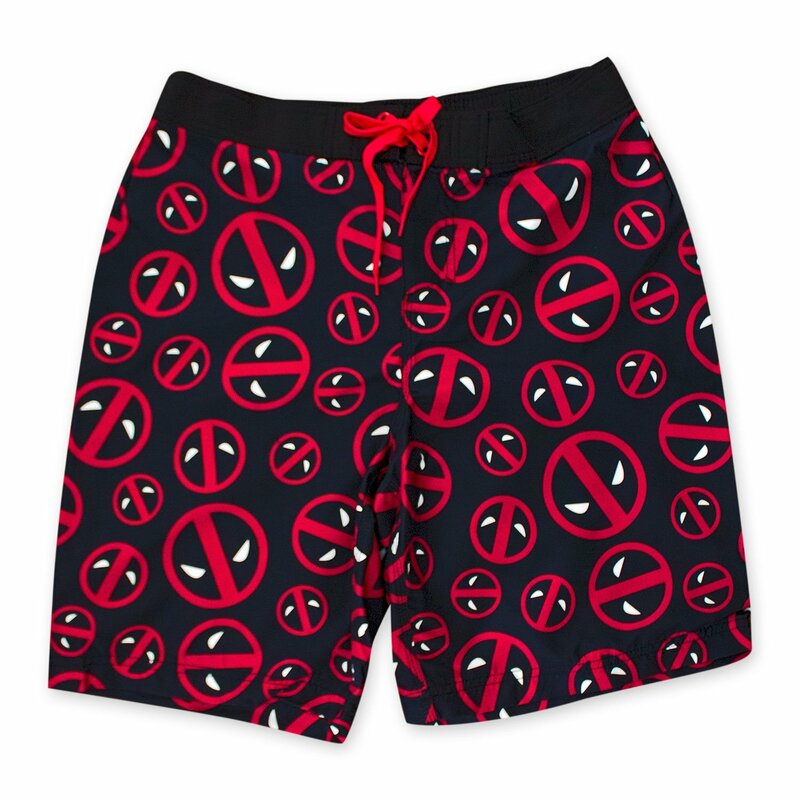 If you’re a big fan of Deadpool, then these Deadpool board shorts are perfect – just an all over design with a simple version of Deadpools face as the motif. 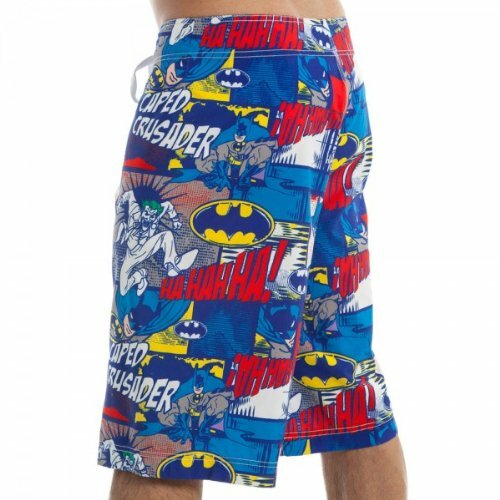 If you like loud and bright board shorts then any of these three will fit that bill perfectly. 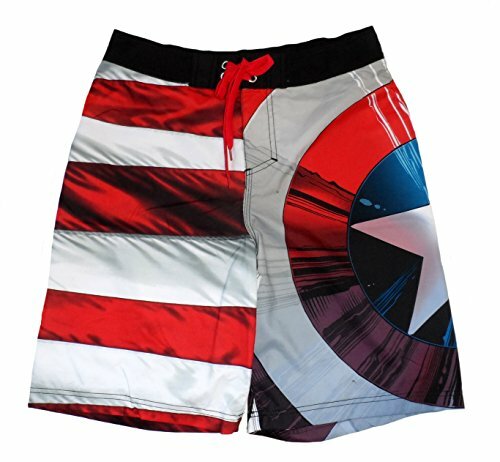 Choose from a Batman comic print, the Captain America shield and stripes design or the slightly more subtle but still bright, Iron Man design. 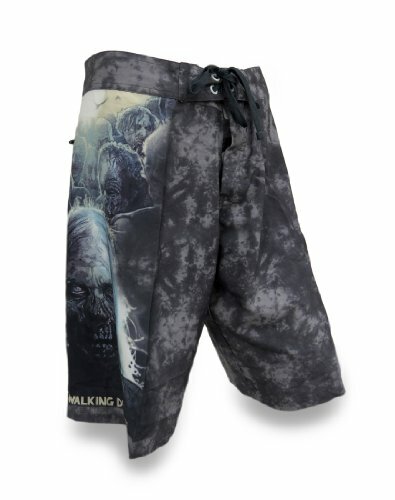 Fans of the Walking Dead TV show are bound to love these two Walking Dead themed boardshorts designs. 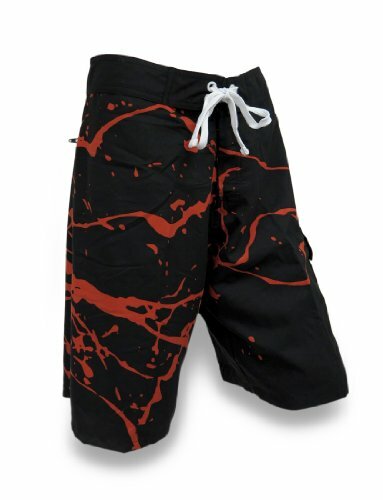 The black and red design is simply bloodspatter with a small Walking Dead logo on one side. The grey design has the ‘fear the living, fight the dead’ phrase on one pocket and zombie faces all down the other side. 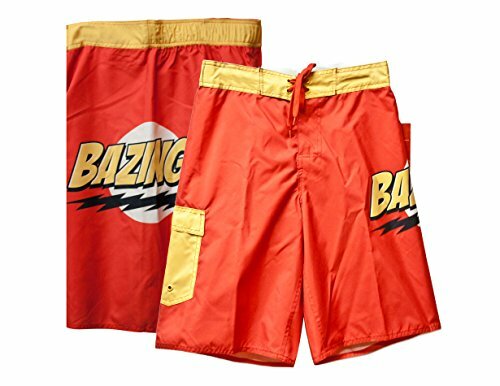 I think my favorite pair of board shorts is the Big Bang Theory Bazinga ones – bright red with yellow trim, you’re bound to stand out in these! 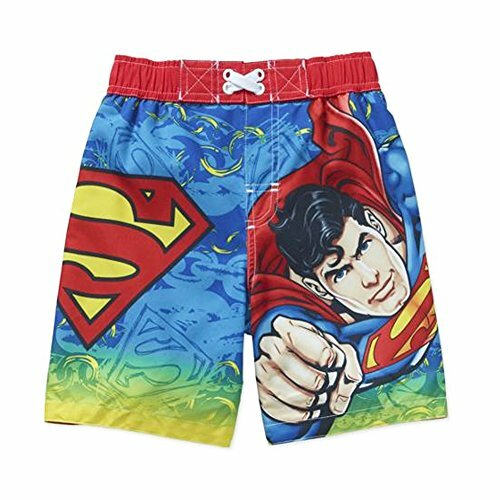 As you might expect, there are loads of geeky swim shorts and swim trunks for boys, mainly centered around their favorite superheros and other childhood heroes. Superman is obviously a firm favorite and I found two designs that are very different but still look great. The Batman design has a large Batman logo as well as an image of Batman himself. 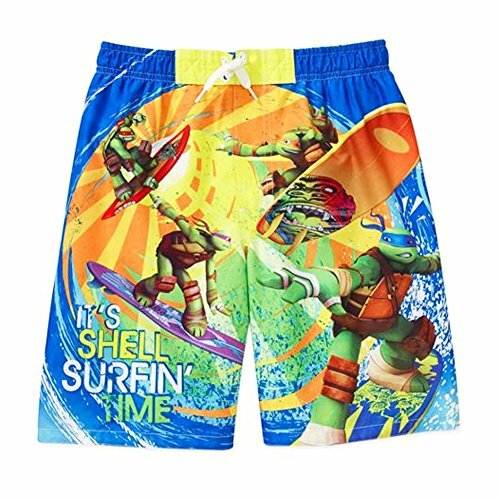 If your boy prefers other heroes then these Teenage Mutant Ninja Turtles swim shorts might be a good choice. 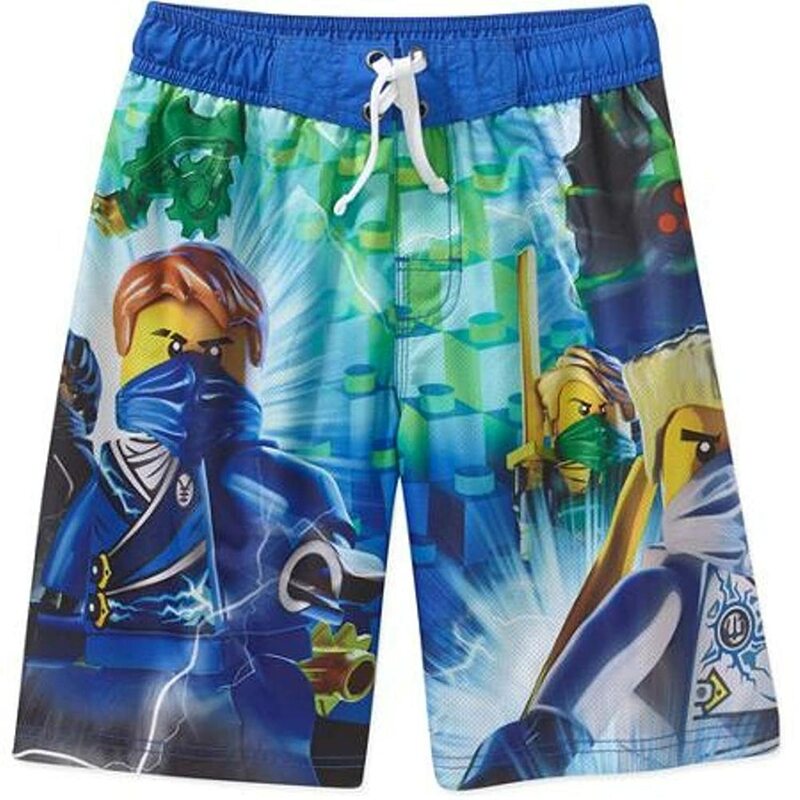 There’s also Skylanders and Lego Ninjago designs too. 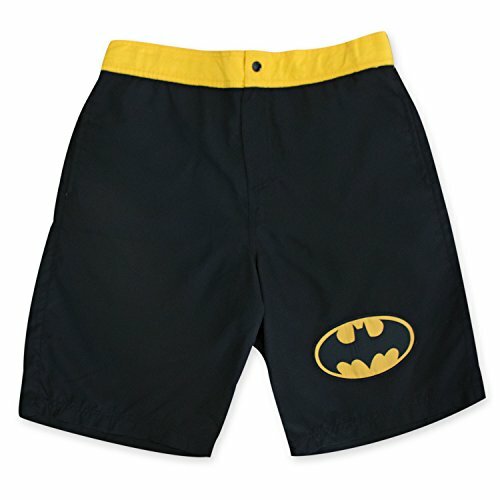 I hope we’ve found some great boardshorts and swim trunks for boys and men alike. The summer is definitely on it’s way so now is the time to start looking for cool stuff to wear in the heat. 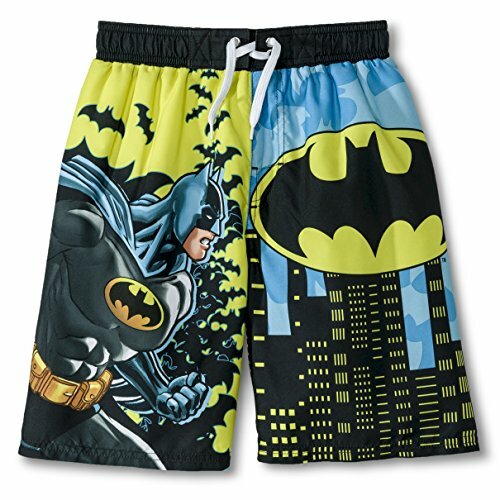 Don’t forget to check out our other swimwear posts for even more cool and fun geeky boardshorts and swimsuits!